This Tascam CD-RW901SL CD Recorder has come to us via a part exchange and comes with a 3 month warranty. It has been tested and is in full working order. The item is in excellent cosmetic condition and looks perfect! 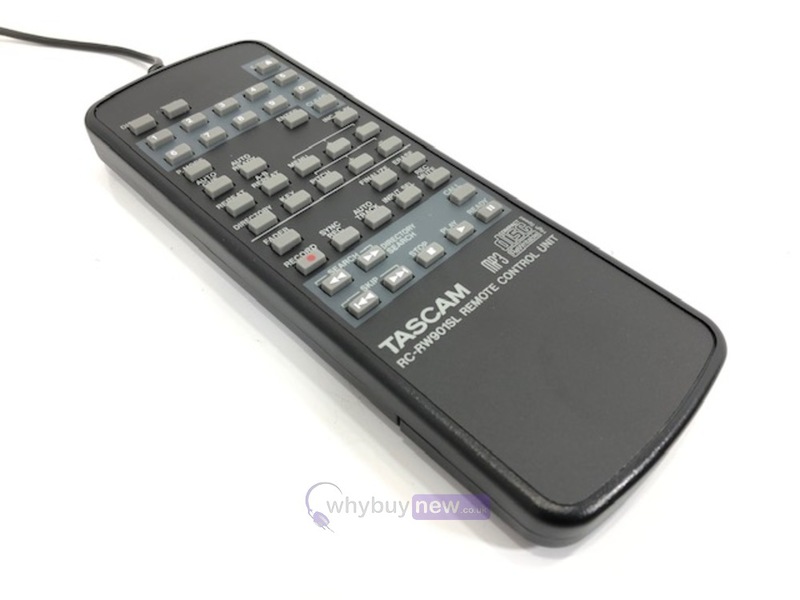 It comes with the remote, power cable and manual. 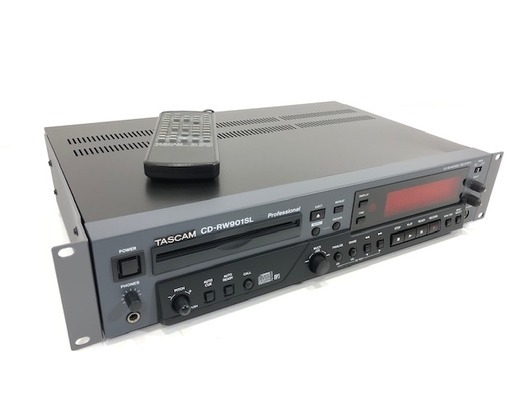 This Tascam CD-RW901SL CD Recorder does not include original packaging but has been professionally packaged to ensure safe delivery to your door. 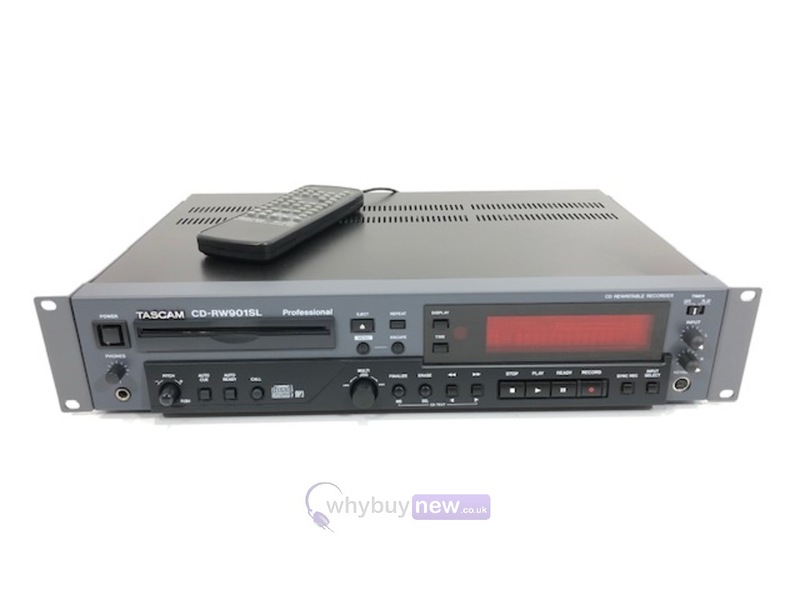 Building upon many of the features of the CD-RW900SL, the CD-RW901SL adds RS-232, XLR balanced I/O, a wired remote, AES/EBU digital I/O, and a timed track increment (selectable from 1 to 10 minutes) for adding CD track ID markers during recording. The CD-RW901SL has dedicated input level controls and its digital inputs are equipped with Automatic Sample Rate Conversion for compatibility with nearly any signal. Pitch Control (16% +/-) on playback is a standard feature along with Key Control, MP3 Audio Playback, and Power-on-Play. The front panel PS/2 keyboard input offers the ability to name tracks and provide the user one-key access to frequently accessed menu functions. The latest upgrade to the CD-RW901SL added continuous recording between two CD-RW901SLs, Index Search and New Time Skip functions on skip mode, Selectable Disc Reading Speed, and MP3 Action Setting (prevents accidental termination of continuous MP3 playback) to an already impressive list of features.